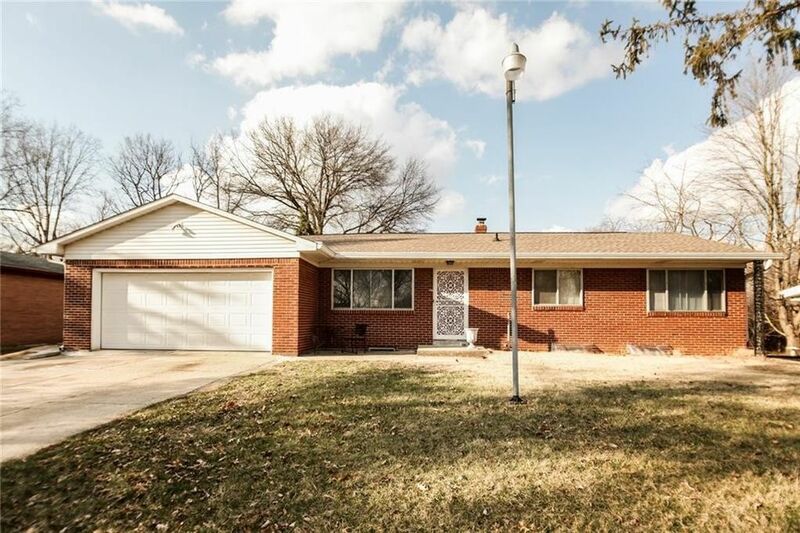 Fabulous all brick ranch with very spacious living room and kitchen. This lovely home has newer flooring in the living room and dining room. There are 3 bedrooms and 1.5 baths. The full basement could be the man cave, hobby room or craft room. The large fenced back yard would be good for pets, entertaining and cookouts and has a nice sun porch for bug free relaxing. Many updates including new flooring and paint. You will not want to pass this one up, it is just charming. Directions: From 56th and 465, west on 56th to Arlington. South on Arlington to Laurel Drive on right. Follow Laurel west to home on right.